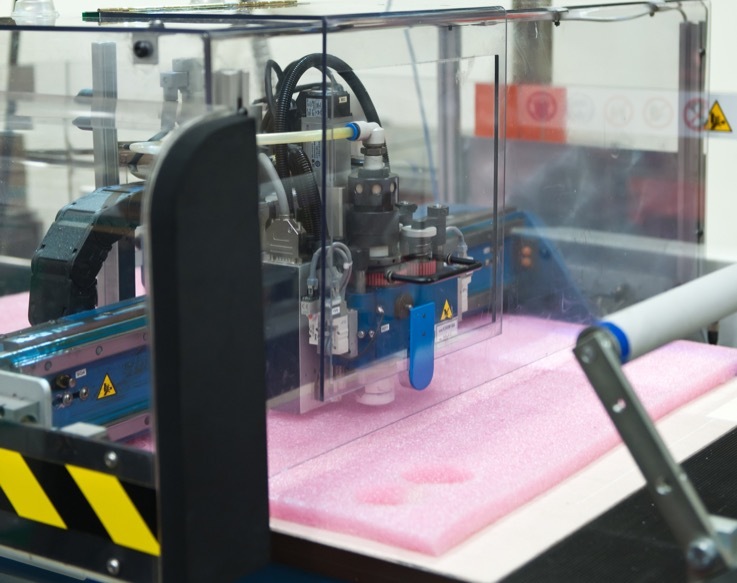 In the past when it came to custom solutions there were only two - die cutting or molding. Although these are both good options, they do not always fit the project requirements. Custom molding can have substantial up-front costs and take weeks to develop. Custom die cuts are limited to a single profile and height of material. Enter dieless knife cutting! Dieless Knife Cutting (also called flash cutting or digital knife cutting) utilizes our three Atom Flashcut Flex CNC machines to precision cut material from 0.001” to 5” thick. 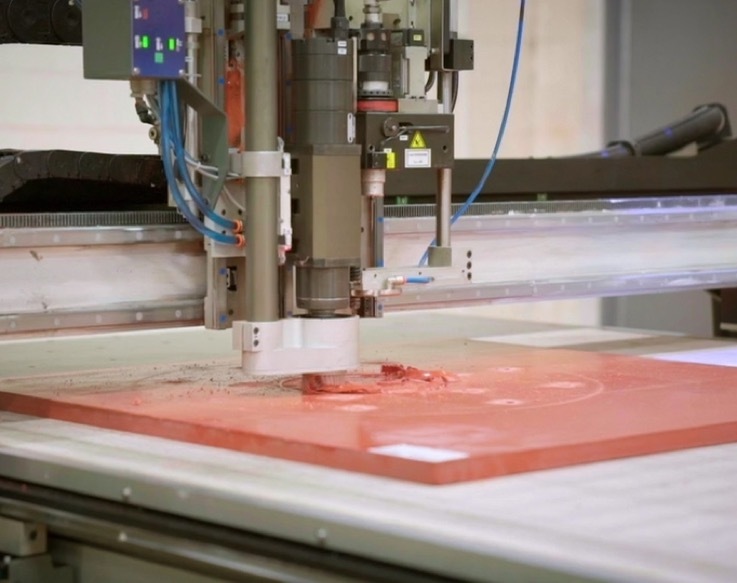 Digital knife cutting applications are numerous and can be used with a large variety of materials. Perfect for projects where aesthetics are important, this process does not cause concavity and produces clean edges. Dieless knife cutting provides efficient use of materials as well as extraordinary precision and yield. Our flash cutting machines can fabricate a part that has all the characteristics, multi levels and profiles, of a custom molded part combined with the lead time and low up-front cost of a custom die cut, while maintaining no hard tooling commitment. Our dieless solution allows for single piece sampling, rapid prototyping and large diameter parts. The ATOM Flashcut dieless knife cutting system has become the machine of choice, from small gasket converters to major manufacturers. The diversity of the ATOM Flashcut is the key factor to its success. 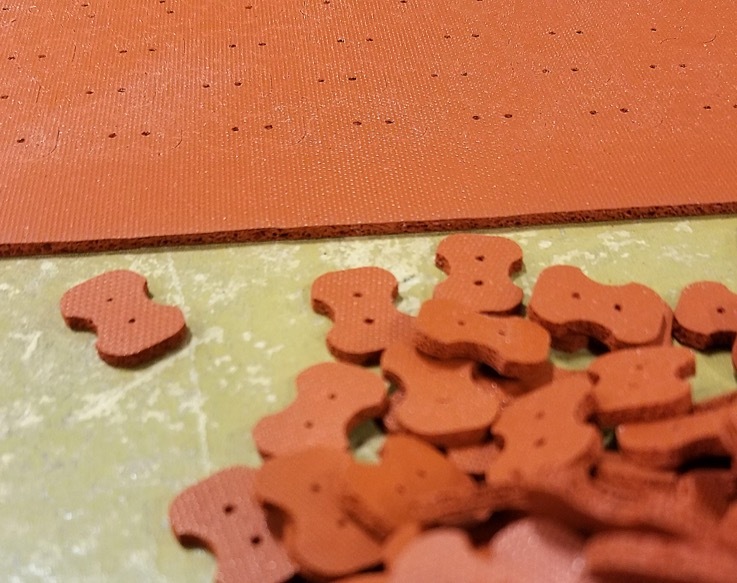 From concept, through research and development, prototyping, multiple applications to production quantities, the final product can be quickly developed to suit your gasket cutting needs. Custom Fabricating & Supplies has been employing flash cutting since 2011. We currently have three machines which can mill and cut parts 5’ x 10’, up to 5” in thickness. The milling capabilities of the Atom Flashcut 3015S EMHD are unparalleled. We are one of a very few companies in the US to utilize this technology. The dieless system is CNC based and enables CFS to manufacture OEM gaskets and component die cuts quickly and cost efficiently from a wide variety of materials including: foams (open and closed cell), rubber and its by-products, films, silicones, sponge, plastics, cloth and fabric, felts, textiles, tapes, adhesives, filtration materials, foils, fiber gasket material, insulation, cork, leather, and many other non- metallic materials from a wide variety of manufacturers.